LANCASTER | Perry Hood Properties, Inc. 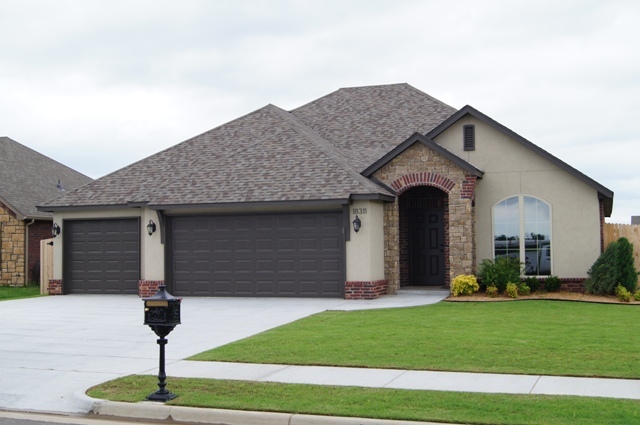 This Perry Hood Properties, Inc. 1 story floor plan has 3 bedrooms, 2 baths and a 3 car garage with approximately 1960 sq. ft. 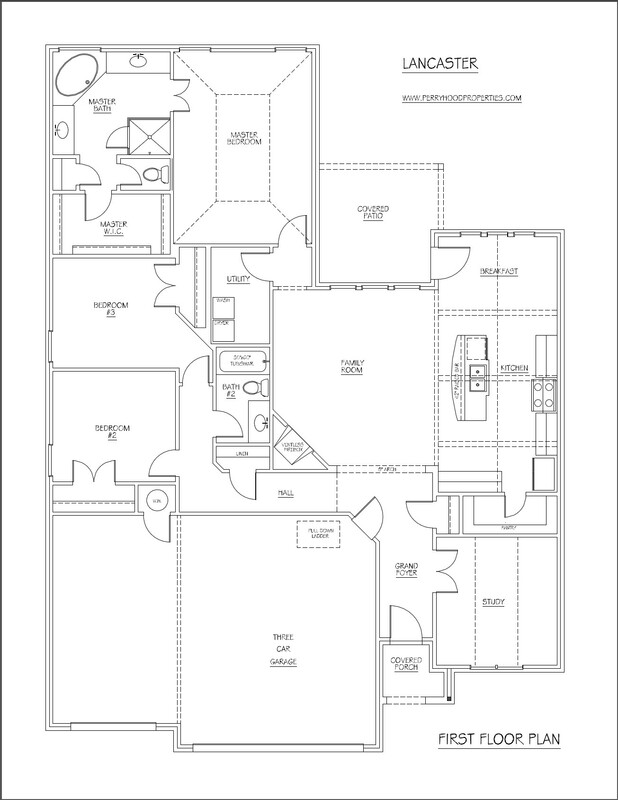 The Lancaster plan features a vaulted ceiling with beams in kitchen and nook. Island kitchen with stainless steel appliances and a large walk-in pantry. Standard 3 car garage for loads of extra storage. This is a perfect 3 car design for almost any lot size! The master bath has a beautiful large glass shower and separate whirlpool.